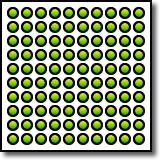 1) How many groups of 20 are there in 1000? 2) Count from 5 to 95 by 9s (nines). 3) Three cookies cost 25¢. How many cookies can you buy for $1.00?